Devine Intervention is different in that not all that is good can be seen, at first. The two main characters, Heidi and Jerome, are an odd-couple pairing. Jerome breaks the rules, while Heidi obeys them 24/7. There was also something real in the characters portrayal and heartfelt at times, more so from Heidi's end. From the insane moments of Jerome not thinking before speaking/doing to the scared nonsenses from Heidi, it was a true revelation from the characters as they grew up. They finally understood by the end what life means to them, why humanity is important, and why love can conquer. I enjoyed the scenes where Jerome took Heidi all over town and explored it from his side of things. She was able to smell delicious treats and people watch like never before. However, I thought it was crazy how Jerome just kept talking in her head for over 15 years of her life! The novel did some lagging a little bit. But by chapter 21 all the way to the end, it improved volumes. The way it played out was fantastic and had a really great twist at the end. Overall, this book wasn't one of my favorite books, but it wasn't horrible either. I did enjoy a good ⅓ of it. Some books are not for everyone, but some are worth a read at least once. And this is one of those novels. So if you get the chance, give this one a shot just once. Then make the decision afterwards. And I would recommend this to teens and young adults, more so than adults. This is just one of those books that I do believe lived up to the hype. Not everyone would agree, but for myself it did. Not many books can impress nor leave me thinking the way this novel did. I can see this not only being a movie series, but more importantly would rather see this be made into a television series if the rights were ever bought for the book. Anyway... Noah and Mara have this bizarre chemistry together. From the moment they lock eyes across the quad till the last chapter, you know they belong together; even if you think other wise throughout reading it. I don't know why but there seems to be a trend lately in the books I'm reading of the boys are all broody. And as it was said on Buffy the Vampire Slayer, "he's all Mr. Billowy-coat, king of pain," something of which Noah easily brings to the table when it comes to his past. The one thing Mara keeps on trying to figure out. Luckily but the end she understand a lot about him and why they are drawn together. It's also very dangerous for them to be together. Something of which I won't reveal, but it's an important aspect in the story. Now for the insanity that swept the book: Jude. That character really has a pivotal role throughout Mara's journey. Everywhere she goes, when her mind starts to slip, he will almost likely be there. The strange part? He's dead! But at the end something is revealed, BIG spoiler that I won't spill, but it changes everything about Jude, in a creepy way. Something that is sure to be explained in the sequel. Overall, TUMD (aka - The Unbecoming of Mara Dyer), left me feeling baffled by the cliffhanger and desperate for the next installment of Mara's world. This isn't for everyone, but it's worth a go at least once, especially with Halloween just around the corner. 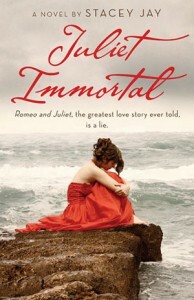 Juliet Immortal, is a new take on a classic piece of literature there has ever been known for over 500 years. The forbiden love, the sacrifice, the death, everyone and their grandparents knows this tale. But this novel, it begs the question: what really happened to the two love birds? Decite, lies, heartbreak, and immortality... the ingredients that make up the backbone of the story with its main characters, Juliet Capulet and Romeo Montegue. 700 years and the two hate each other; well Juliet has a loathsome anger towards Romeo, but who can blame her. 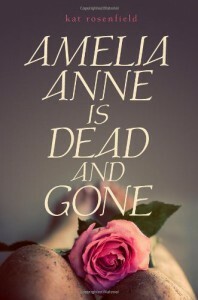 She is still made about the way she died, for how Romeo betrayed her, and the twisted way he took their suppose "love story" to Shakespeare and changed the outcome of it's original ending. Changing the beloved tale and painting it to be this heart stopping tragedy of love, is one piece of the puzzle in Juliet's anger towards Romeo. I adore the very jouney of this tale. The backstory alone is rivetimng and left me mezmerized by the details. It even had me believing a 'what if' scenario for the actual story that we all know and love. Juliet Capulet, everyone knows her; everyone loves her. Yet does anyone truly know this protagonist? That's what the story does, makes the reader really question the original story. I do have to say though that I enjoyed how it played out for Juliet. It was a little insane at first, the way it flooded in the emotions of Romeo with Juliet, but it worked. It had me hooked on her side of the story. Now as for Romeo Montague, a real antagonist for the story. You just wanted to dispise this fellow and his ways. But then as I read further, I started to realize Romeo's motives and his side of the story every so often. It really made me understand the level of anger and such from this young man. Then we have Ariel Dragland, who is a timid girl. 75% of her life, she has lived feeling like a freak show due to her face having scar tissue from being burned as a little girl. Then one day everything changes Juliet's soul takes over Ariel's body and finds a way to mend fences with Ariel's friends and family. She also helps Ariel learn to stand up for herself and fall in love too. Beyond the characters, the details of the landscape and the atmosphere that Stacey Jay had written was superb! I loved every ounce of it and made it feel more real. I could picture the old world of Italy and the delicacies of it's time. But besides all the historial aspects of the story and the love struck teens, it's truly a great piece of literature that really puts a new spin on the classic tale. I recomment this book to anyone that wishes to read about the timeless piece but in a modern way that is sure to make the reader wonder, "Hmmm, did this happen? Could it happen? 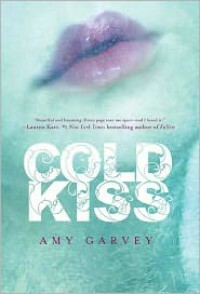 I wonder..."
Cold Kiss is a fascinating story, one that is filled with suspense, romance, even a little magic. The readers are introduced to Wren, the protagonist of the story. She is 17, emotional, and has one big secret: she brought her boyfriend, Danny back from the dead. Her first real love. The only problem is he doesn't seem like he use to be when he was alive. Something is 'missing', besides his pulse, when she seems him. It's bad enough the way everything fell apart for Wren, but she has no one to talk to when Danny is back. This forces her to lie to everyone, including her own mother and sister. Her best friends are barely talking to her because of Danny. But then someone new walks into town, Gabriel, the new boy. As time goes on he won't leave her alone and he feels compelled to know Wren. From there the two begin a bond, one that started on an off note. The story itself was entertaining. However it left me feeling as thought something was missing, not the characters, but the way the plot played out. I think it has to do with how many horror movies I've seen and such shows as Tales from the Crypt that got me to think Danny as going to go a little choo-choo towards Wren and everyone else by the end of the book. But that is just me in regards to the dead boyfriend coming back. Once I got past that and let those expectations go, I enjoyed the book. I simply reveled in the aspects between Wren and all of her family, including her Aunt Mari. The reasons for this stem from the secrets that surround Wren's family that her mother just won't talk about; yet it's vitally important that someone should. It all comes down to how everything was before Wren's father left and before her grandmother passed away. When she was a child, Wren was entertained by her aunt and grandmother always being over at her house, her mother laughing, her father smiling and love just filling the air. Overtime, that all changed and Wren is devastated by this during the book. The character dynamics played out between Wren and Danny start off simple. But by the end, was tangled up and heartbreaking. You could tell she truly loved Danny with all her heart, that kind of young love at 16 that you never forget. But I was worried for Wren, because Danny had changed. He was actually starting to remember things and how he died, which led to his manic moods. The frantic parts were when Danny forget where he was and who was there. It made Wren start to cry sometimes or get scared a little. Something a person shouldn't have to feel about love and was tainting the memories of Danny when he was alive. And then the other boy, Gabriel. Something about him and the way he interacted with Wren was captivating. I wanted more between them, but they're young and the story wasn't all about how it unfolded in that direction, maybe in the sequel it'll happen more. Anyway, you could tell Gabriel cared about Wren in the way he was being patient and protective. I think he wanted to wrap her up in bubble wrap and keep her away from the insanity, keep her safe from Danny. This storyline needs more development, but I loved how it was in the last few chapters, because that's what sold me on the believability in how Wren finally understood what love should be between two people. Now the story felt a little flat here and there in the book, which is okay, I was still enjoying the journey. Not sure how to describe it, but it lacked a little fire or a little more action or depth, but first books do that sometimes. It's always the sequels that go deeper and explain more. I have so many questions and I need answers. It may not be for everyone, but if you appreciate a good love triangle story with a twist that has a magic undead element, this could be for you. I'm excited for this because it'll be from Warner's perspective. I'm curious as to how his mind ticks and the aftermath from book one. The best part is when this book finishes (it actually has 150 pages!) it'll go straight into "Unravel Me", which comes out in February. So thank you Tahereh and your publishing team for this awesome gift to the readers! Cannot wait to read this in October! Catching Fire begins with a soft start. It didn't really give that punch and run with it feeling like the Hunger Games had which is okay because sometimes to get to the interesting part of a story you have first to trek through the mud. It was interesting to see such a new dynamic placed out for Katniss with President Snow. That was the dark horse in the story. You could feel it everywhere, creeping around ever corner. His words had weight and it was keeping Katniss flat on her back in fear. When Peeta and Katniss reached the capitol, the idea of seeing Mockingjays everywhere being incorporated into the fashion of the citizens really took hold of a bigger message. It was quietly foreshadowing the last few chapters of the book. This is important, so if you aren't read it yet, keep your eyes out for this throughout the novel. 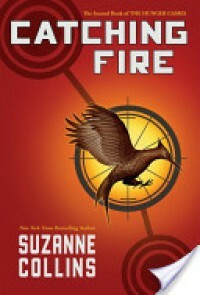 Now for what happens in the 75th Hunger Games, I can say the arena in this book is quite interesting. The complex layout and ingenuity of it was genius on Collins part. I love the science aspect behind the construction the most. Definitely one of the cooler parts of the book and one I'm dying to see constructed for the movie! I can't say what it is and such and hoping they don't reveal anything in teasers or trailers for the movie later this year, but it's one to keep people on the edge of their seat. Oh and I love how BOLD Peeta was in this novel. So good and eloquent too. He most certainly was sharp at pulling the rug out from everyone. Laying down some serious ground work for more & weaving a web of Katniss and Peeta's story of "love"… or so as they need to keep doing to prove to every district and the capitol. I do have to say, the way Katniss keeps describing her kisses with Peeta, it felt like she was falling in love with him or at least falling into lust from her intense physical feeling of burning passion she would get. At one point she didn't want to stop and couldn't get enough, kind of like two teenagers in love with the hand all over themselves groping. As for Gale and Katniss, it became increasingly clear of how confused Katniss was starting to feel for him and Peeta. She is still confused by the end of the book, so her decision will be finally made in Mockingjay. I'm very curious to see how that plays out. Overall, I've enjoyed the book. It is something worth reading if 1) you may not have enjoyed the first book or 2) need a new series to pick up and read. I'd highly recommend the first two books to read. And I normally don't endorse such a things! So far this book has the perfect blend of contemporary fiction and that edge of a CW show from the late '90s (i.e. - see the television show Popular for examples). Chloe is such a lively character living in southern Los Angeles. She has the perfect life: popular, living in a big house, PhD parents (i.e. - surgeon mother & college professor father), 5 older brothers off to med school or doctors, and A+ junior year student. Anyway, the only problem is: after winter break things unravel. Her best friends alienate her, every student at school is whispering behind her back, and suddenly her favorite guidance consular has retired. Chloe's world has officially gone upside down! I can say that I adore Chloe, can't relate to her too much since she is an extrovert and I'm kind of more introverted. Besides that, I do love this character. At first in the beginning she was a little too much, slightly irritating. But by the middle of the novel, she was changing and growing as a person. This Chloe I loved! Mostly because she was always talking and never really listening to people. She would talk over others, interrupt and just flat out forget that the conversation wasn't about her. By the end, Chloe learned to bite her tongue, let others just talk and get what they needed off their chest, and really not only hear what friends and family had to say, but listen as well. It's like I'm always saying, "You only hear what I'm saying, but you are not listening to what I'm saying." A few key quirks that I enjoyed about Chloe include her hobby of buying vintage shoes (circa 1880-1980), her love of all things salsa bars, and the ability she has as being able to cheer people up with making them laugh. She is also the only person in her family, besides her Grandmother, who doesn't aspire to do anything medical. This is due to Chloe's rapid fear of blood and how the sight of it makes her faint. It was very interesting to see the interactions she had with Clementine, Duncan, and her Grandmother. Clementine is this nose pierced, black hair girl, who is the general manager of the radio program 88.8 The Edge (aka - portable five) at the high school. Her dream is to one day to own a radio station. With Chloe around, she tends to get snippy, dragon fire breathing, and apathetic towards her. Over time, Clementine eases up on Chloe and they start to bond. Duncan is this 17 year old boy with dark hair and silvery eyes, who is always serious, fixes everything that breaks at the radio station, and is always wearing knitted scarves with a little crooked red heart at the end of each one. Much to Chloe surprises, Duncan is in her Economics class everyday, but Duncan isn't always there everyday. He works two jobs and because of this he doesn't get much sleep on school nights. As time goes on, Chloe starts becoming interested in Duncan and more. Their interactions together was engrossing. He was a silent kind of guy and rarely said more then two words to Chloe, while she would talk up a storm and Duncan would just listen. Ironically opposites do attract in this story. Then there is her 82 year old grandmother, who nicknamed Chloe "Poppy", for her poppy colored hair. It's stuck with her since she was born. Her grandmother has an obsession with Brad Pitt, can't bare to live anywhere but her Tuna Can (aka-trailer home), and has Parkinson's. The latter causes Chloe's mother and grandmother, since winter break, to go all "World War III", as she put it. The backdrop for the story was a great choice, not only for the age the main character is but just the vibe and scenery southern Los Angeles brings to a story. It fit well and flowed with how everything was with the story. I do like the descriptions given about Portable Five. The little portable trailer, the smells, sounds, even the atmosphere was fitting for the band of misfits that hung out at the radio station. Overall I enjoyed the journey I took with Chloe. From her high points to the lower side of the tipping scale for her social life. It was an all out fun, witty, and delightful read. It's a perfect fit for teenage girls to read or anyone who likes a good contemporary novel with a female lead. Definitely worth a read once. Julie Cross has taken the idea of time travel to another level in fiction. Showing how one minute Jackson Meyer is living everyday life, the next he is thrown back two years into the past like a leaf being lifted on a breeze in fall. So the story starts out with Jackson doing theories about his abilities with his research side-kick named Adam. They both have so many and Adam is kind of a genius kid in the book, so he is all about the logical mathematics in time-travel. Then again most scientists are logical. Anyway, after the first few chapters you learn Jackson is in college, 19 years old, is a english major doubling in french poetry, all the while living in manhattan and involved with his girlfriend Holly. Head on over here to my blog for the full review, mostly because I've got minor spoilers and don't want to spoil it on Goodreads! Read an excerpt of the story (just the first three chapters) and it was pretty good. Won't fully review the book till I've read it from cover to cover! Amanda Hocking has taken an un tapped world of fantasy and made it into reality with her novel, Switched. Here you've entered a world full of Trylle or as it's coined in the world by most: trolls. From the moment you meet the protagonist named Wendy Everly, you know her life isn't normal. Her mother tried to kill her before the age of 10 and she ends up moving around to almost 10 different schools by the time she is 15. Her brother Matt and aunt Maggie are what keep her grounded because they love her unconditionally, no matter the mood Wendy is in. Although, throughout the book she was truly just a child in the way she acted which is explained as a trait in those of the Trylle; having a short temper. I did find it annoying at times, but luckily some of the other Trylle were worst in character than Wendy, so she was a sign of relief throughout the novel. I do however love how passionate she is about her family and the bond that was created. Along the way you meet Finn, mysterious and also comes off at first as arrogant. But once you get to know him, you realize his secret and his ways for this attitude. Behind those brown earthy-tone eyes, lies a someone who has been through a lot and mastered the importance of a strong-will. I admired him for that but at times I kind of wanted to shake the poor boy because he was so convinced he wouldn't let his emotions get in the way of his job. Something that can be hard no just in a fictional world, but in the real world too. This novel has kept me engaged. It's a rare thing and amazing at the same time when this happens and I highly praise books that can do this easily. The world of the Trylle has been very fascinating. From the way the scenery is described to the characters that live in this community, it's no secret that it's filled with magic and adventure. Anyway, all in all, I highly recommend this book to anyone that loves stories about mythological creatures in a new twist and light. The way that Amanda Hocking used trolls and took it to a place that hasn't been tapped into yet for young adult literature is fantastic and really well thought out. I'm excited to read the next installment and the final book in the trilogy as well! If you suffered the pain that made you feel like you wanted to die, what would you do? Would you risk everything and let it be drained away? Would you hide for a 100 years and forget it? or would you fight like hell to feel human again? Nikki Beckett tries to figure out if any of this is her answer beyond the, Everneath. Brodi Ashton had written for her leading lady to live and breathe on those very pages in such a way that I too could feel what Nikki was going through from beginning to end. No other such character in a long time has shaken me literally in reaction to emotions as this character has done. Beck, a nickname her friends have given her, is such a fighter, but also scared too. A conflict most heroes/heroines go through. Being that it is also based on greek mythology retelling this story, you can now maybe guess there is going to be some true fights of fancy courage, but of the good kind. Anyway… Jack Caputo… I'll be honest, I had the hardest time trying to figure out to properly pronounce his name haha. I think I came up with three different versions by the end of the novel. But luckily he had an easy first name, so *phew!*. But I defiantly LOVE Jack! I haven't seen a male character so strong in his conviction about what he felt and so deeply intense about everything. But he also had a soft and humorous side too which made him well rounded and developed in layers. And boy did he have some layers! He is what Shriek calls an "onion" lol but besides that, Jack in the beginning is very different by the time you get towards the middle of the book, because of Nikki. And speaking of which, backstories upon backstories is filled through out the entire book, so don't worry if you are confused up front because everything gets explained, even moments that go further back to understanding our characters, Nikki and Jack. Things that make sense once you read it. It gives insight into how they are as people in this world. Oh and the world they live in! That Cole… he is one_____ yeah fill in the blank, because he is such a pain! I'll say this though, if you haven't read the book yet, you'll want to smack Cole throughout the book, maybe even dropkick him, do a little chuck norris roundhouse kick… just saying. But overall, I was pulled in by the love story. One that was so intoxicatingly real in some ways that you couldn't help but fall in love yourself with each moment. There was something hollowing and heartbreaking at the same time it was beauty too. A constant influx of confusion in the beginning, like Nikki… then it because apparent in how strongly it feels, the emotions of love. Something so tender that you want to hug it and never let it go; protect it from the Everneath too. In the end, this book should get 10 stars/hearts/awards, whatever would deem fitting for this book, because not only was is beyond breath-taking in so many ways, it'll be forever in my heart as a book that truly touched me. Books don't do that often, it takes a lot to move me in literature. So when it happens, I know I've struck gold with the story, the characters, and their world that it's being told from.